These bar cookies are every bit as addicting as a really great football game, so why not make them for the Super Bowl? They're easy to make and even easier to eat. In fact, when DH brought them to work one day, a colleague took one, came back for another and later instead of exiting the building after taking the elevator down five flights, turned around and rode another car up to get a third. The coconut and pecans for the topping. 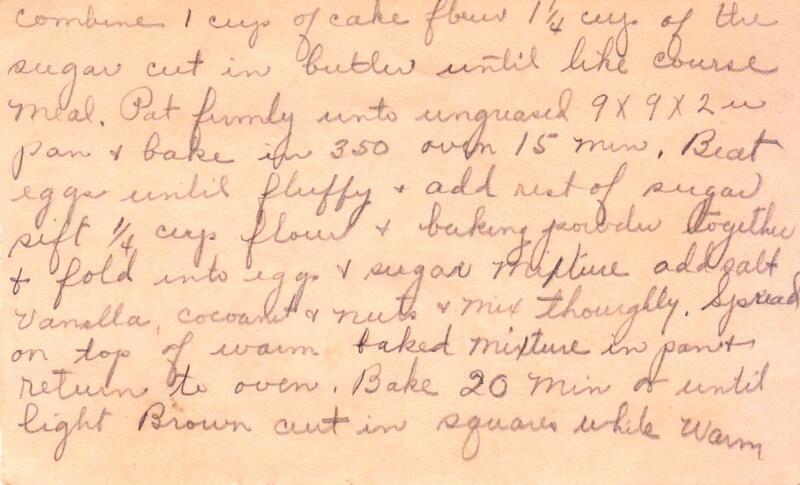 Like all recipes, one must pay close attention to this one. I didn't and paid for it. 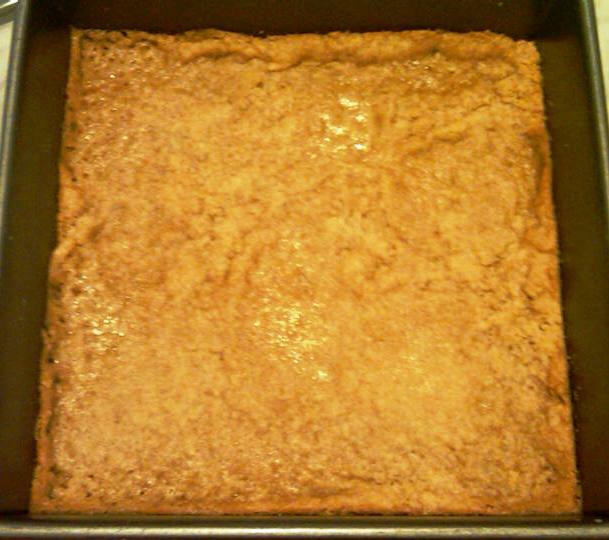 Instead of making the bottom layer with brown sugar, I used white. The result was so bad that even I couldn't eat this mistake. My mistake, dumped out on the kitchen counter. What the crust should look like (except in real life it wasn't this blurry!). When I was young, my mother sometimes made something called Seven Layer Bars, in which chocolate chips, butterscotch chips, nuts, coconut and more were layered atop a graham cracker crust, with sweetened condensed milk poured over the whole thing. And then baked, of course. They lasted about an hour, they were so good. The recipe for Coconut Butterscotch Squares is probably a precursor to that one. It's most likely from the 1940s, and incorporates more traditional baking techniques, like using eggs as a binder. Desserts of that era were a simpler by necessity, for ingredients like butterscotch chips didn't exist and anyway our American palates hadn't been introduced to the over-the-top desserts typical of the past 20 years. So enjoy these 1940s treats at the 2011 Super Bowl, which is akin to one of my favorite things: watching a black & white movie on the TCM channel while flying on Jet Blue. 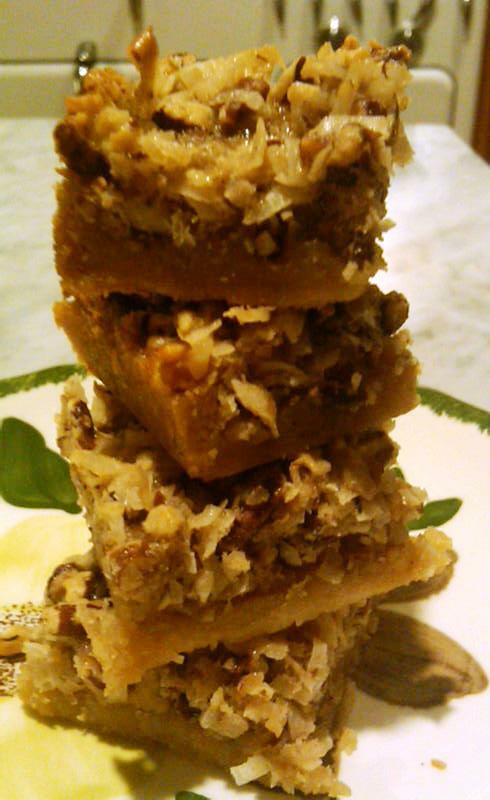 yep, the first thing i thought of was seven layer bars! i am now craving them. 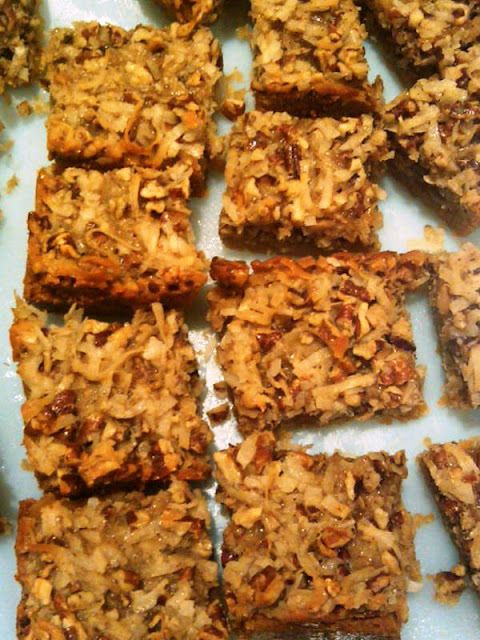 I love seven layer bars, too, but these sound even better. (I don't want to make them, though, I just want to EAT them!! )Love that recipe card, too! This looks so yummy I wanted to make it tonight, but in reading the recipe it says to combine the flour and 1 1/4 cup of the sugar, but later when you're beating the eggs it says to add the rest of the sugar... Can you please help clarify how much sugar to add when? I'm still a cooking novice so I can't rely on myself to just figure it out! Thanks!! @Anonymous: I was confused too, which is part of the "charm" of these recipes. 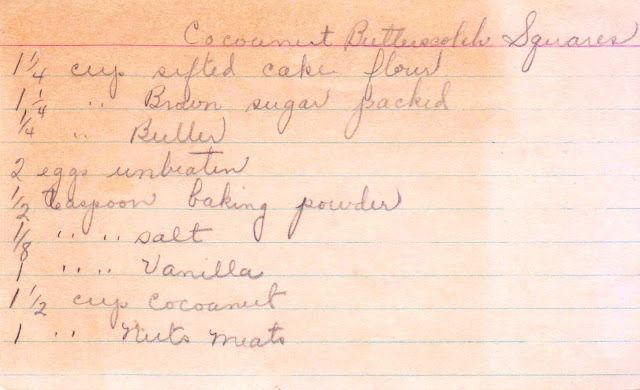 As I recall, I used sweetened coconut in the topping, and just added a bunch of sugar to taste. I really wish I could be more specific, but I didn't take notes on this one, just winged it. 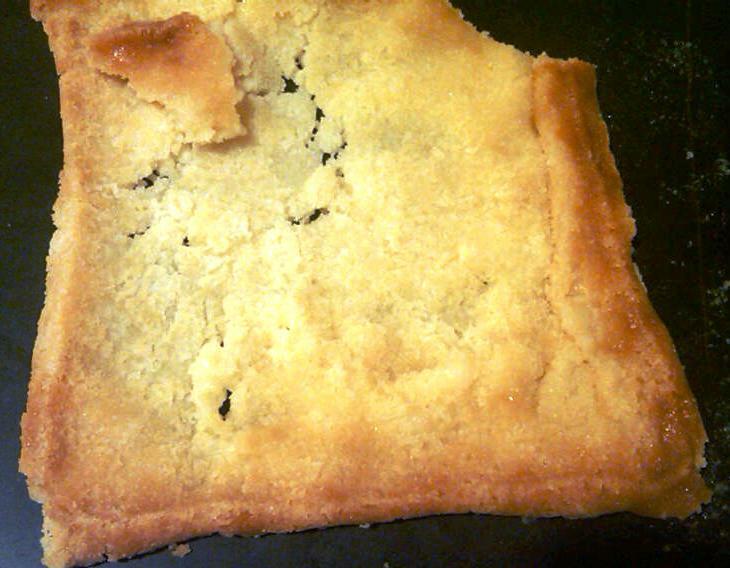 They say that baking is a science, but I've found that it's not always true. Having said that, I'm sure you can find something similar on Epicurious that may have better instructions that may be more successful. 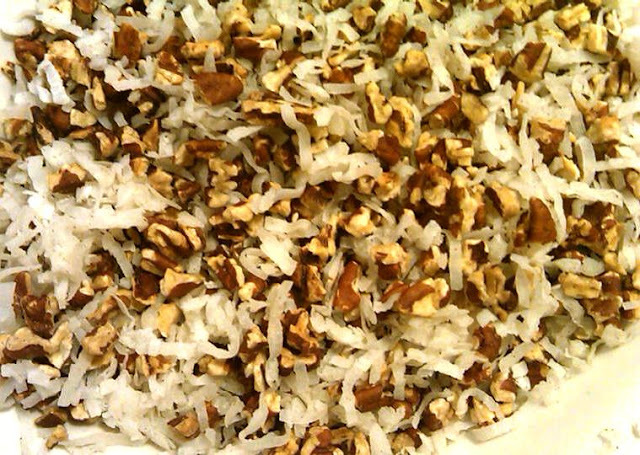 Or take a chance, have an adventure and try this recipe. Please report back, whatever you decide.